There is an urgency to bring Christ to people in Ethiopia who have never heard the truth about Jesus. For now, there is freedom in Ethiopia to share the Good News, although in most places defined as unreached*, persecution of Christians and especially new converts can be intense. NewLife Ethiopia encourages 36 full-time evangelists and we are happy to report that many people are becoming baptized Christ-followers. Recently, ten new churches have been planted in places where there has never been a Christian presence. 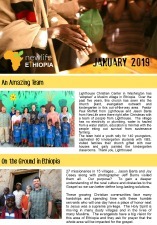 NewLife Ethiopia has been instrumental in publishing written material that has been extremely useful in one-on-one evangelism especially on college campuses. There is a website where those interested in the tenants of Christianity or apologetics can downloaded the pamphlets and books in the Amharic and Orominya languages. The name of the site is Truth for All and you can access it here. Ethiopia is listed #28 on the World Watchlist of Persecuted Christians. We need concerted, ongoing prayer for the evangelists, pastors and elders serving in extremely hostile areas. We need U.S. church partners who will “adopt” evangelistic centers. We need individuals who will sponsor an evangelist so he can continue his vital work. 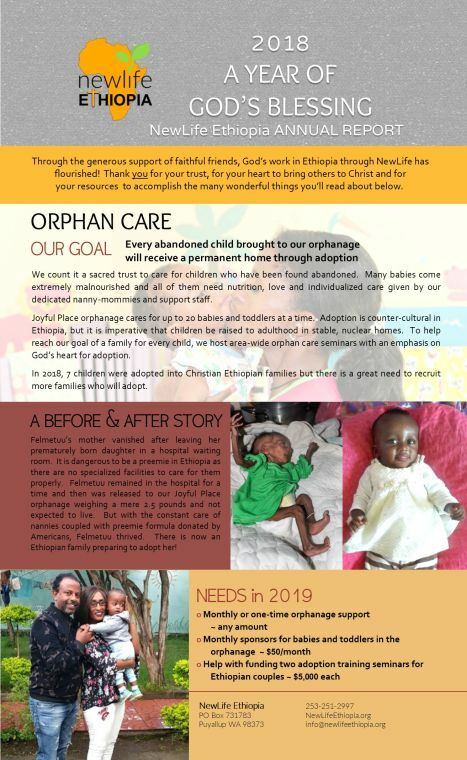 Contact Joy Casey at (253) 251-2997x3 or jcasey@newlifeethiopia.org if you are interested in learning how God is using dedicated people to accomplish His plan for Ethiopia. Read more about our missionary evangelists here. Find out how new believers are being discipled here. A people group is unreached when the number of Evangelical Christians is less than 2% of its population. It is further called unengaged when there is no church-planting strategy consistent with Evangelical faith and practice under way. A people group is not engaged when it has been merely adopted, is the object of focused prayer, or is part of an advocacy strategy.